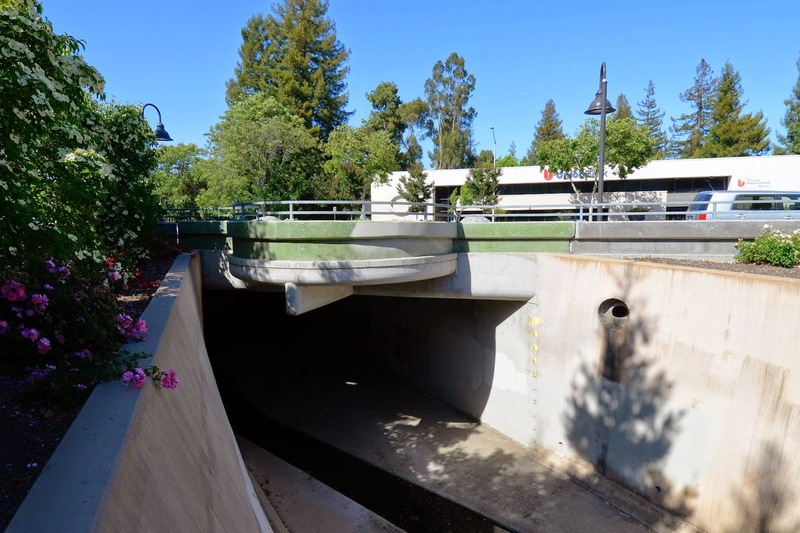 We'll finish our survey of Santa Clara County with a few bridges in Palo Alto, the community that surrounds Stanford University. The Adobe Creek Bridge (37 0661) is called an arch but it's really just a culvert under El Camino Real (CA 82) Highway. It's 20 ft long and it was built in 2004. Perhaps it replaced an arch bridge or possibly the arch bridge is now hidden behind a road widening. Santa Clara County, California Bridges: El Camino Real Bridge across Adobe Creek by Mark Yashinsky is licensed under a Creative Commons Attribution-NonCommercial-NoDerivatives 4.0 International License.